• Patrons will be able to re-enter the stadium throughout the day by receiving a re-entry stamp. • The following items are not allowed in Memorial Stadium: alcoholic beverages of any type, backpacks and bags, banners and signs, bota bags/wine skins, coolers and containers, fireworks, whistles, horns, bottles (glass or plastic) and cans, strollers, tri-pods, umbrellas, and weapons of any kind. Small purses 8.5” x 11” or smaller are allowed but are subject to being searched by University personnel. • Smoking is prohibited on all campus property at the University of Illinois at Urbana-Champaign, both indoors and outdoors, in university-owned vehicles and in privately-owned vehicles parked on campus property. 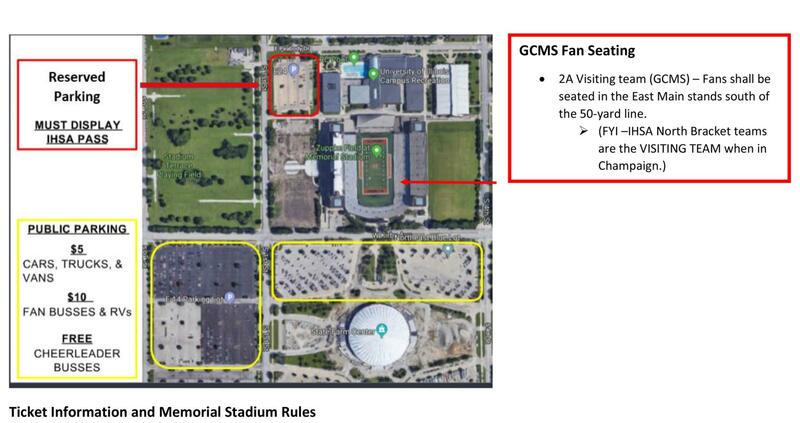 This includes Memorial Stadium and the parking lots surrounding it. • All patrons are subject to search. The University of Illinois reserves the right to remove disruptive individuals. • Patrons will be allowed to bring in noisemakers and posters but are subject to be checked by university staff. • NO ONE is allowed on the field without a field pass.